Your long awaited chance to travel to Cuba legally is here and Trek has just the right program to soak in all that is great about this island. We’ll see the sights and sounds of Havana and then fish the scenic and pristine waters of Zapata National Park. The demand for travel to Cuba is exceedingly high with the commencement of commercial flights into Havana. Only those who book early will be able to get the services they wish. Only a handful of dates left for the peak season so we urge you to call and book your Cuba trip today! Your trip will begin with your flight into Havana. Trek will assist with your options as there are numerous charter flights now being offered into Havana from major ports. Once you arrive into Havana, you will be met just outside Immigrations by an agent from Take Me Away Travel who will help collection of your bags and then make the 30 minute drive to the Hotel Parque Central in Old Havana. The next day and a half we experience a whirlwind tour of old car museums, Montecristo cigar factory and learn how to make rum from the folks at Old Havana. We will also see some sights of Old Havana like the La Cabana Fort, Salsa night clubs and just soaking in the charm of the Cuban people. 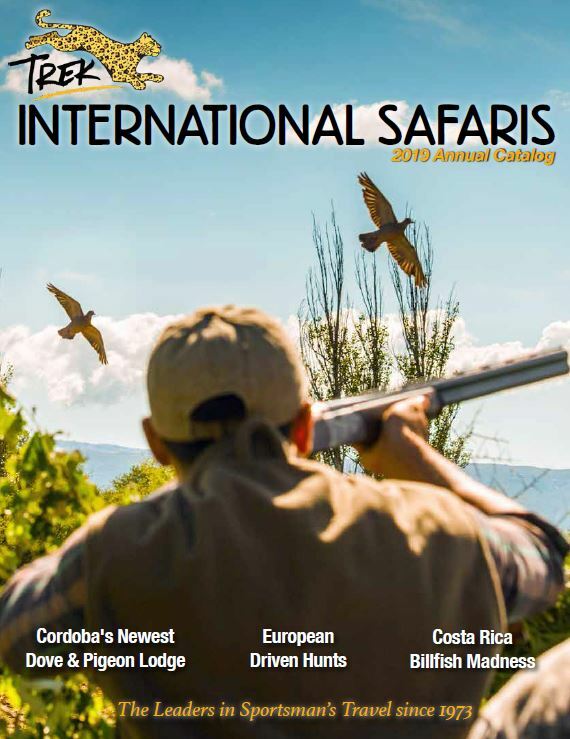 Our time in Havana will be followed by three days of fishing in Zapata National Park, two days on the flats at Las Salinas and a day of tarpon angling on the Hatiguanico River from our headquarters at the refurbished Enridan Lodge on Playa Larga about two hours south of Havana. Zapata National Park is known for its diverse ecosystem and year-round fishery offering clients the fishing destination of a lifetime. 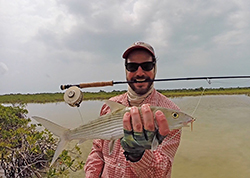 Anglers will fish the three principal areas: the salt flats and bocas at Las Salinas, the Rio Hatiguanico (Cuba’s Amazon River), and San Lazaro. Here flyrodders and spin anglers alike will have the chance to take tarpon, snook, bonefish and permit as well as snappers, cudas and jacks. Guides are all local and very experienced and will be fishing from brand new 16 Micro (solo angler) and 17 Elite Beavertail Skiffs with 30 and 60 horse motors respectively. You can expect to see miles and miles of flats interspersed with lagoons and channels holding large populations of teeming fish. The Hotel Nacional is a landmark hotel located near the historic Malecon extending from the Harbour to Vedado. The hotel has 457 rooms and suites and is literally a museum full of treasures. It is well located within walking distance from many bars and restaurants. At Playa Larga we have renovated a new section of the Playa Larga Hotel has been dedicated strictly for our 2017 anglers. The Enridan Lodge has a private entrance with 24-hour security and a new Angler’s Lounge serving cocktails and food. The rooms are located close to the water and are being updated to include well-appointed amenities such as new furniture, air conditioning, ceiling fans, television, a separate sitting room and large bathroom. Guests can expect good, casual dining with local farm-to-table vegetables and fruits as well as locally caught fish, chicken and criollo pork. All meals are served in the spacious, air-conditioned dining room centrally located at the Hotel.